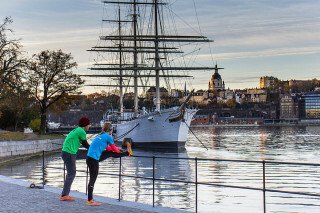 Discover Stockholm’s historical Old Town with your running shoes on. Sightsee at a leisurely pace with a friendly and informative guide. 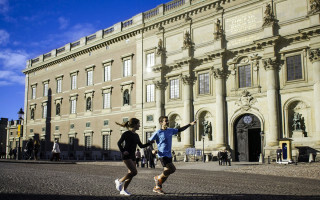 This tour is private, so please specify your preferred running time when booking. 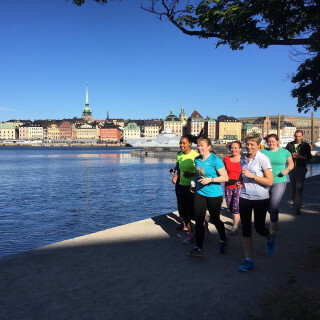 Our start times are every hour from 8:00 a.m. to 7:00 p.m.
We start the run from Gamla Stan metro station (on the red and green lines). Take the Munkbrogatan exit and we’ll meet outside Vapiano Restaurant on Munkbrogatan 8. We also finish here. Private tours can be customized based on your preferences. We can skip the places you have already seen to focus on what you would like to see most. There is no storage place for your items. If needed, we can carry some of your small things such as a wallet or keys. 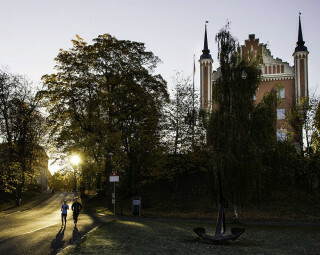 The tour is in English, and subject to guide availability we can also offer Spanish and Swedish. However, all languages are welcome as long as you don’t mind missing some historical context. 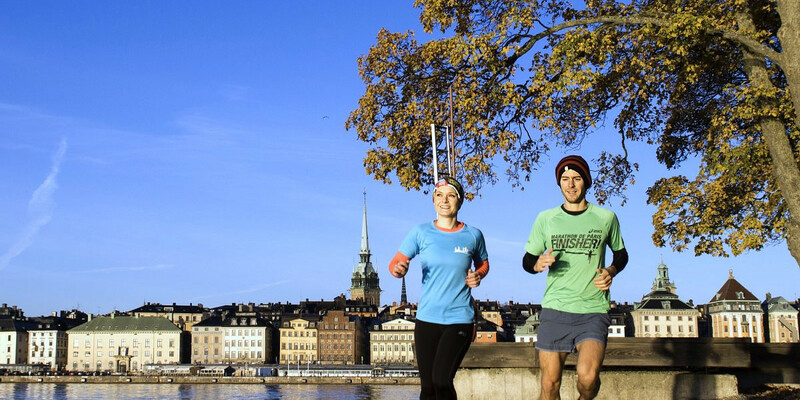 Dash through the streets of Stockholm on this 6km (4.2mi) run to take in its most famous landmarks. Starting from the city center, our route takes us through the capital city for a tour of highlights and high heart rates. While we aim to get up and active, the tour is set at a leisurely pace so you can take in the city. 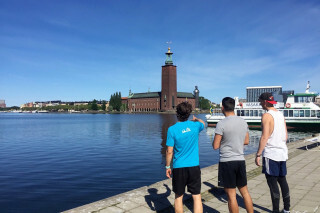 Throughout the run, your guide tells you all about Swedish history, culture, and street smarts with insider tips for the rest of your stay. 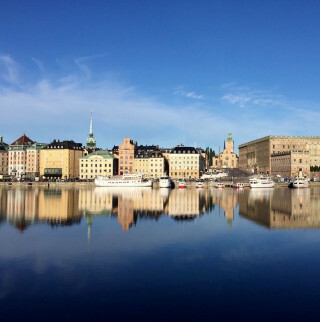 We run by the National Parliament, the Royal Opera House, the Riddarholmen church, the King's Garden, and much more. 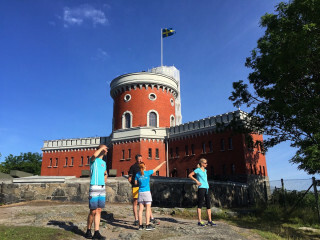 To take in the sightseeing, we make five stops during which you can catch your breath or join us for a bit of cross-training. We are running daily at any time with private groups. Depending on your pace, the tour will take about an hour. If you are a fast runner, just let us know and we will adjust the difficulty and route to your preferences. 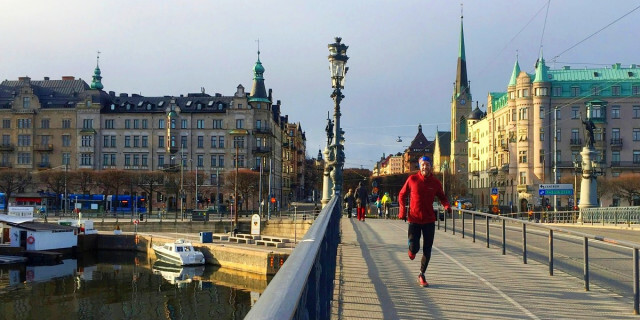 Get moving on this running tour to see the best of Stockholm’s historical city center. It’s quite breathtaking. Literally.